Shelving is an essential part to any home design and storage space, and there are many options to consider. In a closet space, the closet rod is generally the main feature in order to hang clothes, however it is the shelves that really help the user to get the most out of their total storage area in the closet. Today, there are many different shapes and sizes of closet shelves available that can be used to create new and unique storage areas for all of your items. In general, a shelf is a flat piece of wood that can be used in a closet to place items on for storage. The shelf is installed through the use of anchor points on the wall of the closet. Some shelves are slotted and can be moved and adjusted for size, however the most common application is to nail the shelf to the closet wall for a permanent storage space solution. 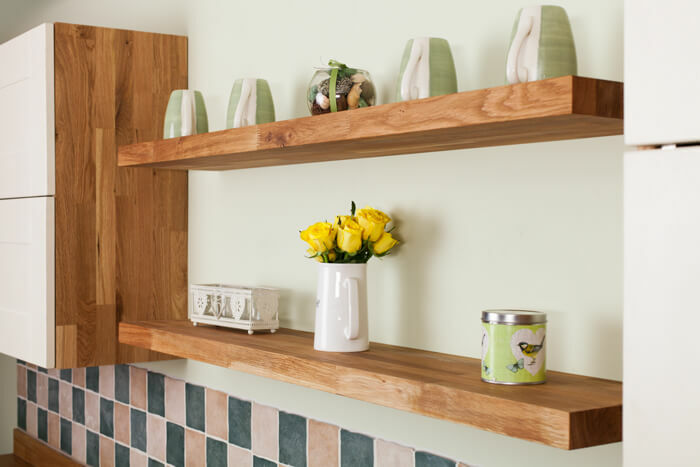 Using shelves that can be re-positioned as needed can give the user many more options for shelf height so the storage space can be adapted for larger – or smaller – items as needed. In most cases, the standard closet shelf is a wide piece of wood that is placed atop the closet rod along the length of the closet space. Most closet shelves generally stay in-place while in use regardless of whether they can be moved or not. Some of the newer options available for closet space is to install shelves that have the ability to slide in and out for easier use. 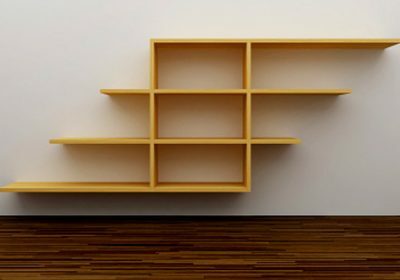 Instead of being made out of wood like traditional shelves, sliding shelves generally have a wire frame and are located below waist level like they would be in a dresser for easy use. The ability to slide these shelves allows users to look at the contents much more easily than having to open up drawers to find what they are looking for. 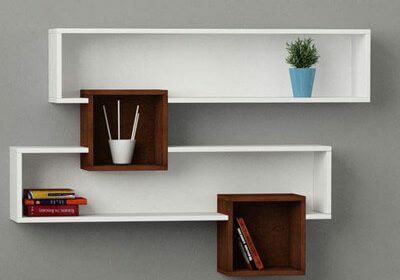 The use of narrow shelves is becoming more common because wider shelves sometimes create the potential for stacked items to fall over too easily. If you need more narrow shelves than you’ve got room for, or if your closet is only made up of wide shelving, there are options that you can consider. 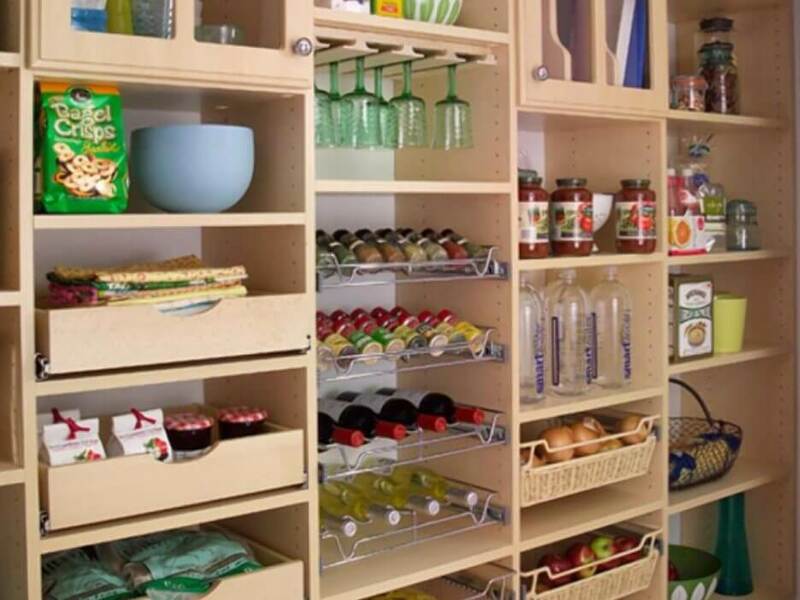 One method is to use shelf dividers to separate the wider shelf into multiple narrower shelves. Think about these dividers as being similar to book stands that separate books in a library. These dividers will help you to partition off your wide shelf and will give added support for items that have a habit of leaning over to the side such as clothing, linens or other bedding. Another type of closet shelf that can be used is called the half-shelf, which only takes up space at the front half, leaving an empty space at the back of a deep closet. This shelf leaves open space at the back to help you store tall or long items much easier while still making room for storage shelving.